Another former staffer of Rep. John Conyers has accused the Michigan Democrat of unwanted sexual advances, according to a report Tuesday. Deanna Maher, who worked as Conyers' deputy chief of staff from 1997 to 2005, told The Detroit News that her former boss touched her inappropriately and made other unwelcome advances on three occasions. Conyers' office did not immediately respond to questions about Maher's allegations in the Detroit News story. NBC News has not independently verified the allegations. In a statement to the Detroit News, Conyers' attorney Arnold Reed denied the lawmaker had done anything wrong and questioned why Maher would have kept working in the office if she had felt uncomfortable. "At the end of the day, he's confident that he will be exonerated because he maintains that he has not done anything wrong," Reed told the newspaper. "At best, they are uncorroborated. At worst, they're just not believable," he added about Maher's allegations. "Any female or male that comes forward and says anybody harasses them, that is serious. Those things are not to be taken lightly. But we have to be able to at least have some corroboration if we're going to be saying my client did something wrong." Maher, who is 77, told the Detroit News that Conyers made his first advance toward her after she was hired in 1997, saying that she refused an invitation from him to share a hotel room. She also alleged that Conyers, who is 88, touched her inappropriately in a car in 1998 and touched her legs under her dress in 1999. Both instances of touching were unwanted, she said. Maher is the second former Conyers staffer to come forward with allegations of sexual harassment. Last week, Buzzfeed reported that Conyers had settled a wrongful dismissal complaint in 2015 with an ex-staffer who claimed she'd been fired after refusing Conyers' "sexual advances." Conyers paid out a $27,000 settlement to the woman in exchange for a confidentiality agreement from her, Buzzfeed reported. 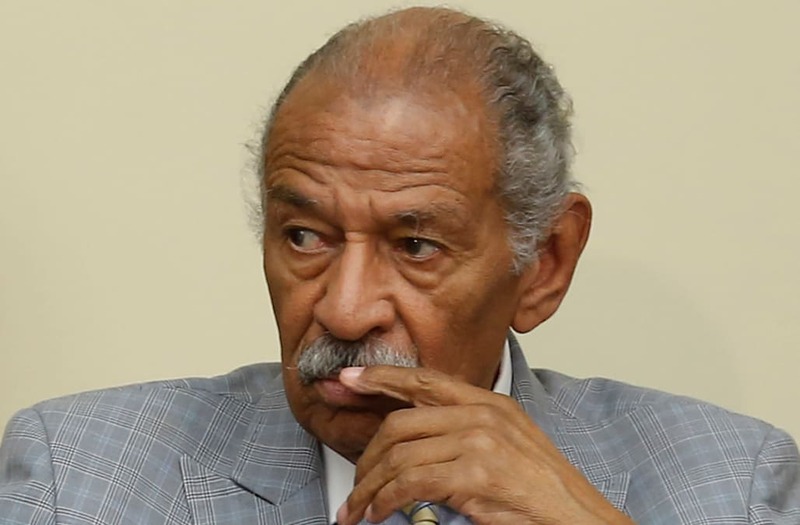 After the report, Conyers admitted to reaching a financial settlement with a former staffer who had accused him of sexual misconduct but the lawmaker denied having done anything improper. The House Ethics Committee has opened an investigation into the allegations. Conyers, on Sunday, stepped down as the ranking Democratic member of the House Judiciary Committee, citing the ongoing Ethics Committee investigation.